REAL USAA Members With Interesting Faces – Male of female, ages 21-60, all ethnicities, with unique faces and memorable features. features, or even just radiate a unique confidence, but their personality should embody the values of USAA: strong, unique, confident. Members who utilize USAA investment services. Please tell us if you interviewed with Dan Bell for a previous USAA project. This Veteran Owned Business Casting Announcement was brought to you by Veteran Owned Business. Veteran Owned Business is in no way affiliated with the above organization(s). We do not in any way endorse the above business/organization or guarantee any offers made above. VeteranOwnedBusiness.com and the Veteran Owned Business Directory are simply providing information we feel is of interest to veterans, active duty military, reservists, service disabled veterans, veteran owned businesses, service disabled veteran owned businesses, families of veterans, families of our armed forces and any other person or persons directly or indirectly involved with the United States military. 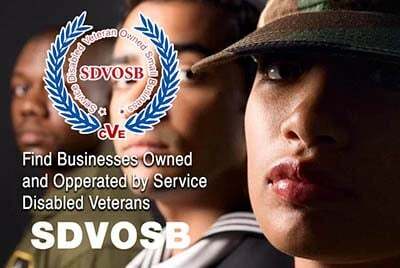 List of SDVOSB and Veteran Owned Business bid opportunities with the Federal Government.